New technology makes it simple to bring old memories back to life. It is now possible to make photos from those black and white negatives that have been collecting dust in the closet for years. Some scanners now have built-in photo negative and slide scanning technology that makes it simple to turn negatives into photos with the click of a few buttons. But even an old flatbed scanner will do the trick if you've got a piece of white paper and an LED light source. Purchase the appropriate scanner if you don't have one already. While there are some scanners with built-in photo negative and slide scanning capabilities, this feature is convenient but not necessary. Most flatbed scanners will work just fine with the right amount of lighting. 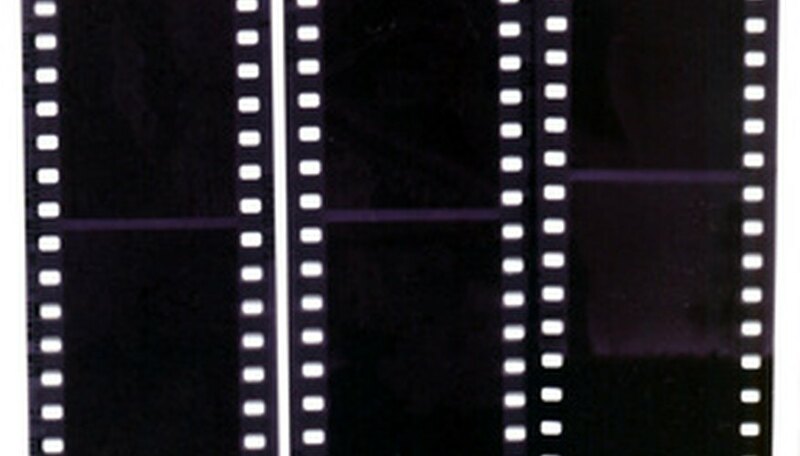 Clean the black and white negative strip. This should be a delicate process, so as not to scratch the film. Blow away any dust and wipe the negative strip with a special photo-cleaning cloth. Try not leave behind any fingerprint smudges, as those will show up multiplied on your final print. Insert the negative into the special slot if your scanner has one. If your scanner does not have the built-in photo negative and slide scanning technology, simply lay the negative strip on the scanner flatbed. Either way, make sure that the shiny side of the negative is face-down towards the glass of the scanner. Place a clean piece of white printer paper over the black and white negative strip if you do not have a slot on your scanner in which to place it. Position an LED light about four inches from the piece of paper if you are using a regular flatbed scanner. Do not close the scanner's lid. It should remain open during the entire process. If you are using a scanner with built-in photo negative and slide scanning technology, shut the lid. Scan the image. Some scanning software allows users to crop an image in "Preview" mode prior to scanning. If your software allows you to do this, select the area just around the negative. This will make editing much easier down the road. Save the scanned image to your computer in .JPEG format once the scan is complete. Open the scanned image in whatever photo editing software is available on your computer. Photoshop works best, but most photo editing software will work sufficiently. Click "Tools" from the toolbar menu and select "Photo Effects." Look for the option for changing a negative image into a positive one. Click on that option. Adjust the size of the now positive black and white image to whatever is appropriate for printing. To adjust the size of the image in Photoshop, select "Image Size" from the "Edit" menu on the toolbar and adjust accordingly.